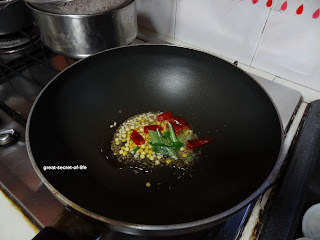 Poha, All time quick fix for any meal (can be quick lunch box item too). Normally I will have fresh spinach from my weekend shopping for Monday cooking. So most of the time for the Monday lunch it will be with Spinach. 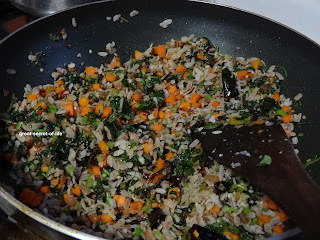 Yesterday was my son's birthday we had heavy meals, sweets, cakes etc...and wanted to take rest from eating...So i added it to my poha upma along with spinach and carrots. It turned out to a healthy yummy and simple lunch box. Wash and soak poha for 1-2 minutes and drain them completely and keep aside. 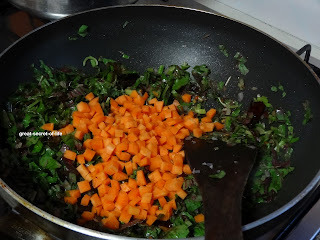 Then add the drained poha,enough salt and mix everything well and lastly squeeze some lemon juice and mix well. 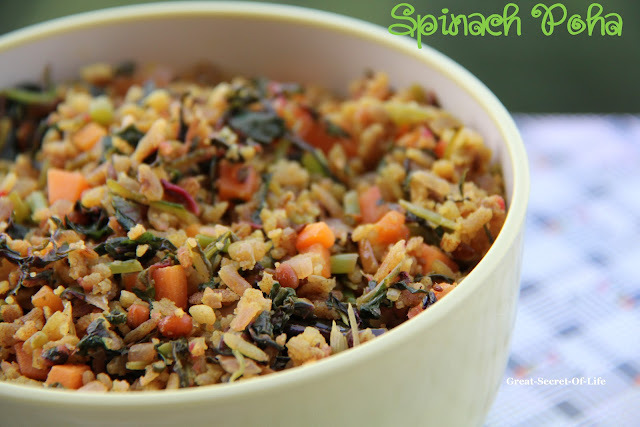 Healthy yummy spinach poha upma is ready to serve. 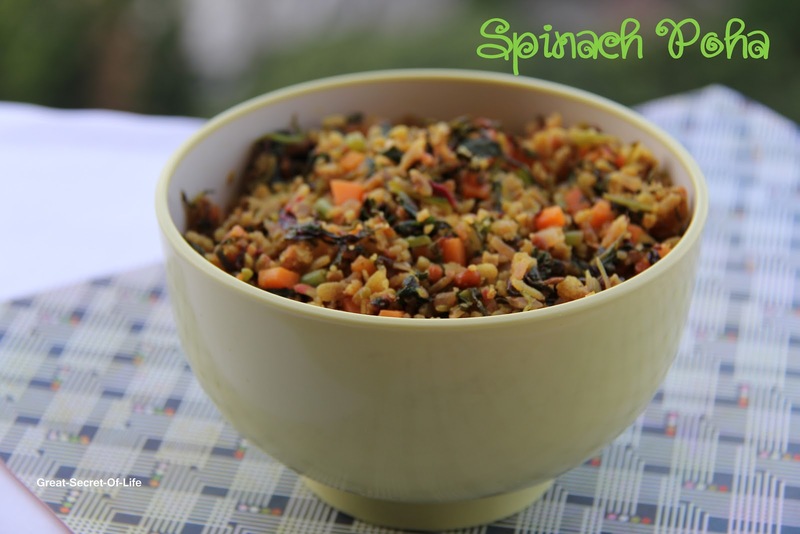 So healthy and love the addition of spinach to poha! Wat a healthy dish,love the addition of spinach here. Healthy dish. Never heard about this combo. 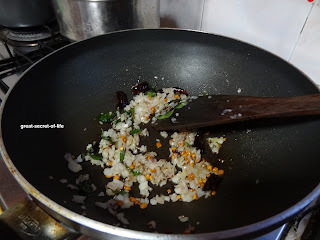 Healthy and filling poha..Great to include spinach to it..
Love the addition of spinach int he poha! a healthy breakfast indeed!